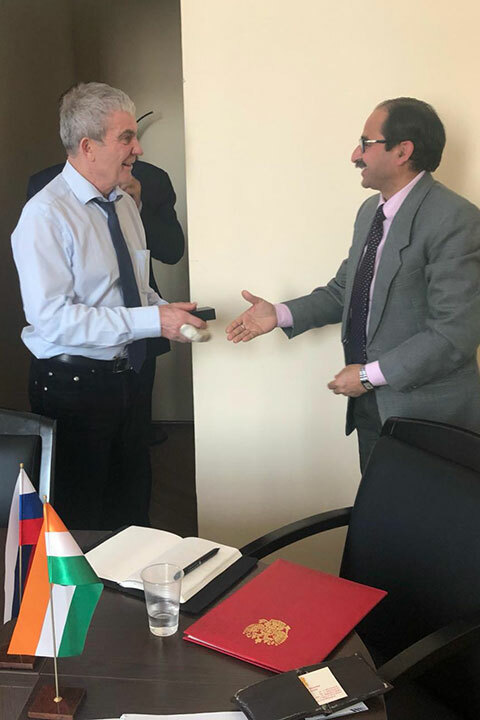 On April 11, 2019, the Russian New University (RosNOU) visited the Scientific Attaché of the Indian Embassy in Moscow, Dr. Shishir Shrotriya, to discuss promising areas of cooperation through the Russian-Indian Scientific and Technological Center (RISTC), as well as conducting scientific and educational activities on the basis of RosNOU. The meeting was held with the participation of Vladimir Zernov, the Rector of RosNOU, Evgeniy Palkin, Vice-rector for Scientific Work, Lyudmila Kornaukhova, Deputy Director of RISTC, and George Gabrielian, Head of the International Affairs & Academic Mobility Department of RosNOU. 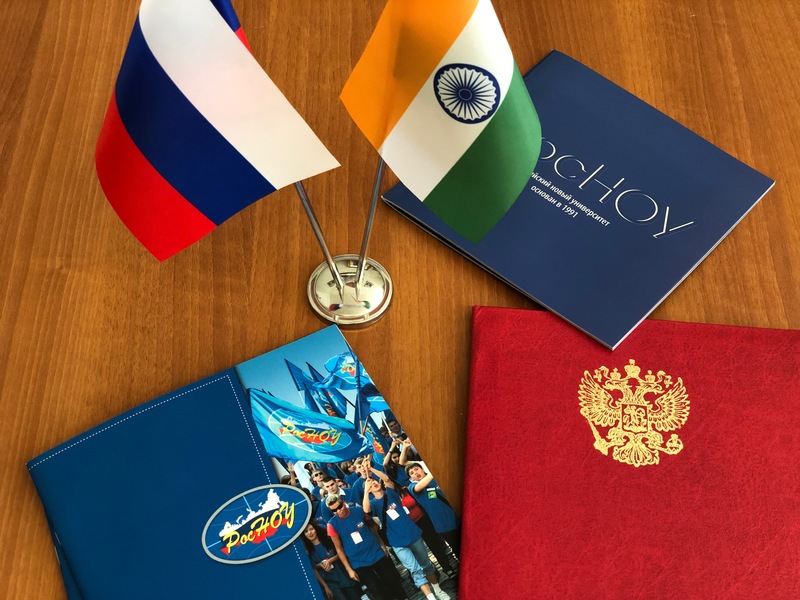 The scientific attaché told about successfully implemented Russian-Indian projects for the exchange of students and faculty – VAGDA, GIAN and SPARC; as well as about the Russian-Indian network of educational institutions ARAEN, providing interaction in the framework of academic mobility and joint educational programs. Dr. Shishir Shrotriya shared with the meeting participants his opinion on the high value of professional, practice-oriented internships for students as an integral part of the educational process. Such events with subsequent certification allow students to get not only the necessary set of credit units, but also new practical knowledge. Taking into account that the success of education lies in the subsequent employment of students, such internships, including international ones, are particularly important. “The task of the university is to create conditions that will attract young researchers. This requires the implementation of international educational programs, joint research with foreign professors, as well as academic mobility ensuring."